I’ve always wanted to travel to Canada… Well, not really. It wasn’t until my sister Jeri inspired me to go. You see, when Jeri was in her teens, she would leave with her friends for the night and when the parentals would ask where she was going, her response was “Canada.” By saying she was going to Canada, Jeri would in turn infuriate the woman who laboriously squeezed her tiny body from her loins, and I would die in hysterical laughter. 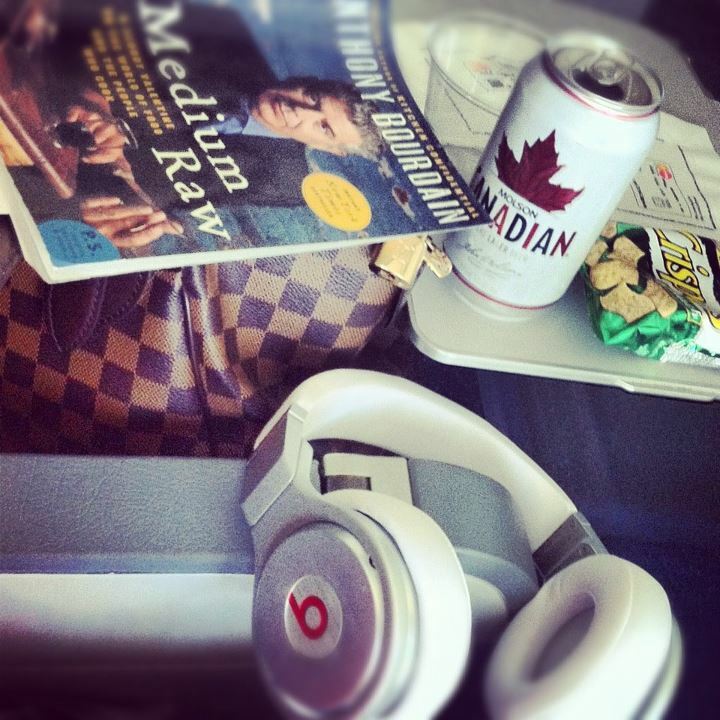 Thus a spark was ignited in my mind to travel to Canada…. While camping throughout European lands one fall, I met an Aussie named Scott who ended up moving to Canada for work, and invited me to visit. Of course I finally booked my ticket and set out for the promised land. I checked-in on my Air Canada flight departing from LAX and promptly requested an aisle seat. I cannot fathom a window seat. While most humanoids enjoy peering out the window at the blinding rays bouncing off the clouds at high altitudes, not only does this severely burn my retinas, but I also cannot stand having to strategically leap over two sleeping people in the event I need to skip-to-the-lou. Hoping and praying to the heavens above that I get a cool dude sitting next to me that doesn’t reek of an unknown stench or someone who wants to talk about their twenty cats who all collectively caught a case of tapeworms, the clouds parted and I was seated alone in the first row. I knew it was about to be a great trip when I had three seats with ample leg room to stretch my 5’1 stubby legs out. So I did what any other ecstatic vacationing being would do on a 7am flight: I ordered a beer and awaited touchdown in the land of maple syrup. My friend lives in Banff, aka “The Most Gorgeously Cute Little Town Ever.” This national park is set in the Rockies with tons of wildlife just frolicking around. 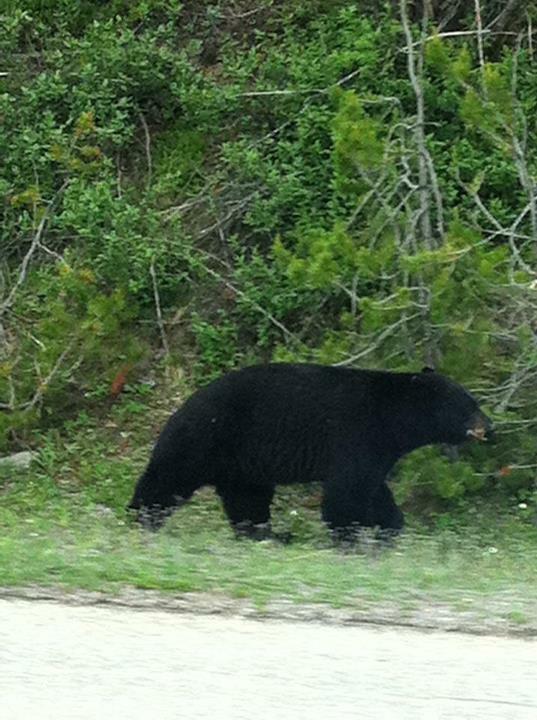 I saw black bears, grizzlies, a moose chilling in someones backyard (although my friend swears it was an elk, I’m sticking to a moose! ), and rabid squirrels (though they might be cute a furry, I have a hatred for them due to the single squirrel that chewed its way through the bottom of my car last summer). I stayed only for a few nights at my friend’s place. It was pouring rain, he lived in the basement of a three-story house, and it flooded. I stood in his doorway watching the flood literally flow down the hall and under a door that was labeled “electric room.” Needless to say I freaked out and couldn’t sleep, as I envisioned myself being caught in an electrical fire and dying before I ever had the opportunity to run naked across the Real Madrid futbol field and into Ronaldo’s muscular arms. Heaven help me. 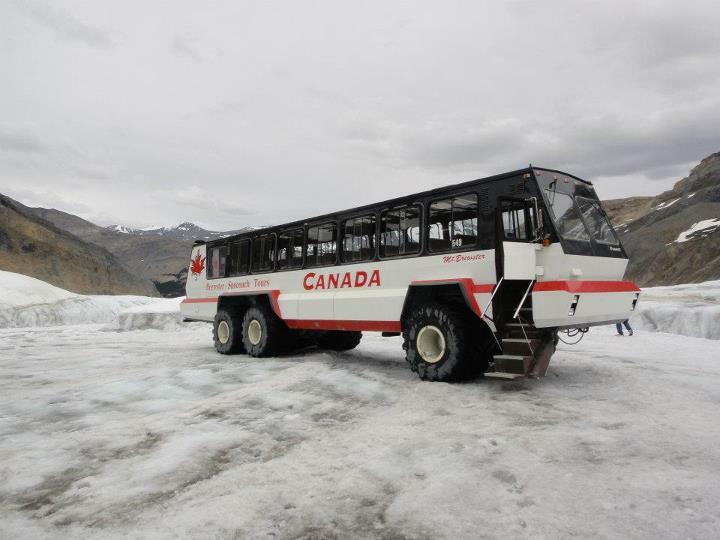 And the best part, driving onto Athabasca Glacier! We even were lucky enough to witness two small avalanches while we were there, as well as watch a bunch of Japanese tourists bottle melting glacier water and drinking it (and perhaps leaving with the souvenir of an intestinal parasite afterwards.) The off-roading vehicle that we got to ride in was by far the best experience of the trip! 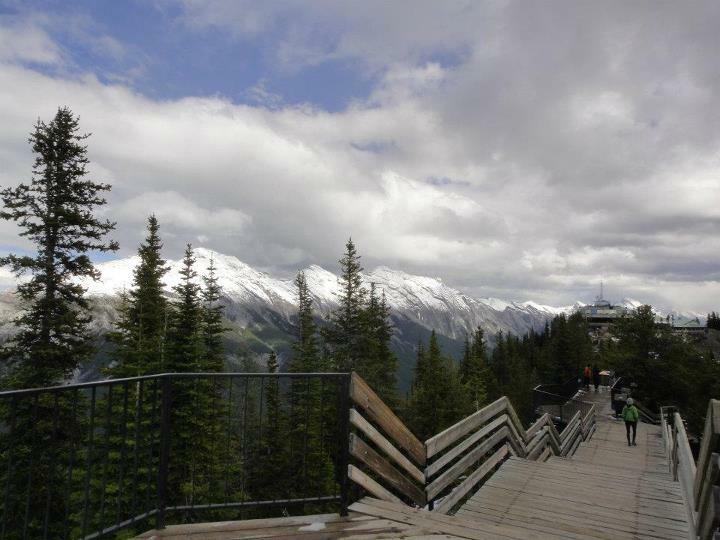 The following day we took the gondola up to Sulphur Mountain where we walked across an amazing boardwalk. It was beyond freezing, and full of snow (snow?! In July?!? YES!) And if you’re into the trendy thing, Sulphur Mountain boasts the highest altitude Starbucks in all of Canada… so you can take your Cup O’ Joe up the mountain and use it as a hand-warmer in the cold air. We arrived back in Banff and went to one of the best dinners I have EVER had. And that means something after all the food I’ve shoved in my pie hole. A HUGE shout out to the Tree Beer company of Kelowna Canada, for throwing such a fabulous dinner party to promote their beers to the hospitality industry of Banff!!! We were greeted with some of the most delicious apple cider, appetizers like truffle-popcorn and then seated at large tables and served family style from an astonishing menu. And almost everything contained pork! BONUS POINTS!!! 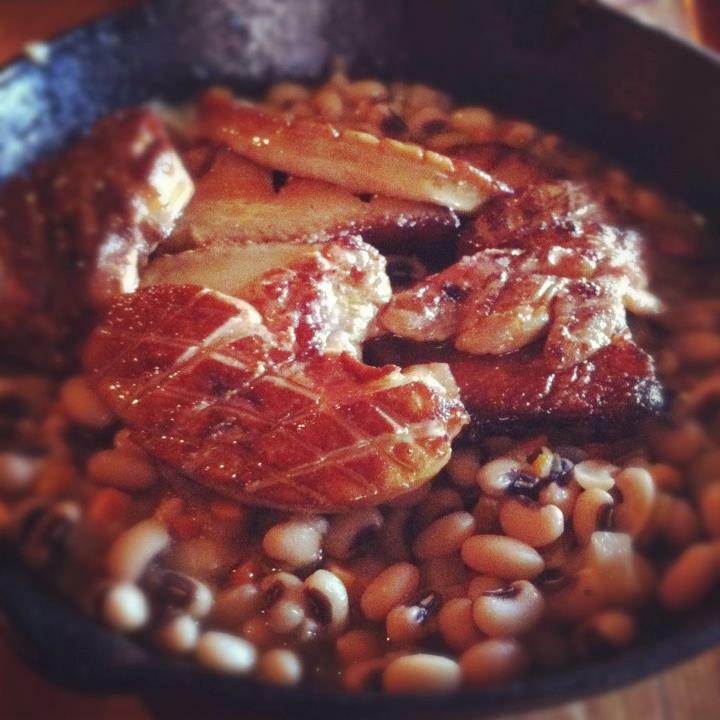 Pig tails with chorizo, mussels cooked in beer with bacon, halibut cheeks and squid, bacon-wrapped corn, and an inventive “pork n’ beans” made with black-eyed peas and foie gras! Every course was paired with an appropriate beer, and needless to say I left praying that I promptly give birth to the ever-growing food baby in me. We embarked on a road trip. We said goodbye to the beautiful town of Banff, rented a car and drove through some back country roads. We did a little hiking, and a lot of eating. 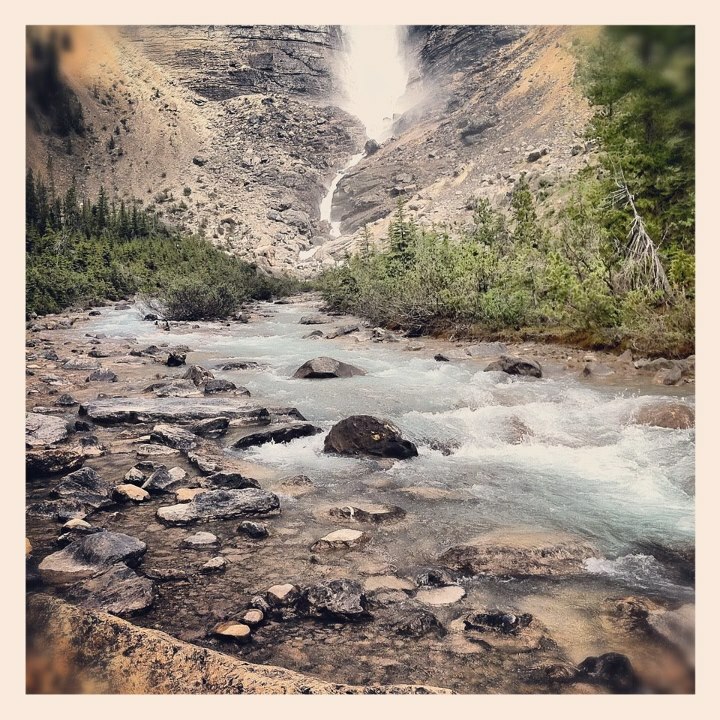 We stopped at Emerald Lake and Takkakaw Falls, and I lost my friend in the middle of no where. I frantically looked for him, freaking out with no cell reception and finally found him sitting in the car waiting for me like an hour later. By that point I was profusely sweating and in need of an alcoholic beverage. So, does Canada have a rainforest? How about wetlands? You can bet your sweet buns the answer is YES! And surprisingly enough, they are both located within a very short distance of each other! The cedar tree rainforest is stunning! One of the best board walks Canada has to offer… and the Skunk Cabbage Wetlands are pretty interesting, too (named after the ginormous cabbage-looking plants that smell like skunk growing there). We stopped at Golden and stayed at The Dreamcatcher Hostel, ran by the nicest couple and their adorable dogs. I seriously wish all hostels could be as inviting as this one; they actually live upstairs, so you’re a guest in their house. The next morning we were off to Revelstoke and finally finished in Penticton, where we met up with some of our friends that we met a few years back in Europe. It was that moment the TRUE meaning of travel revealed itself to me: travel isn’t all about sightseeing and the places you go. It’s not the souvenirs you bring back or the pictures you take. 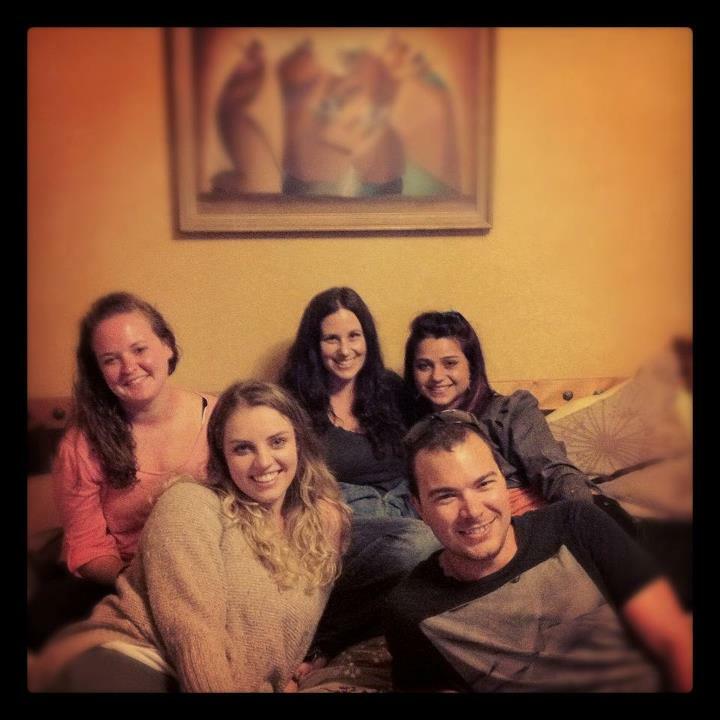 Traveling is about the people you meet; the relationships you build and keep with people from around the world. And if you’re lucky, if you’re truly fortunate, you’ll meet up again sometime down the road…. And the only thing luckier than meeting up with friends you’ve met while on the road, is getting the entire first row all to yourself AGAIN on the flight back home! 5 Comments on Canada, EH’? Thank you so much! I absolutely love your Grand Mosque picture! I hope to travel to that end of the world soon! Hey fellow panorama-taker, I love the shot of the cedar tree trunks. it gives a really different perspective of the forest. Thank you! It was an amazing place to visit… I really like how you showed your daily budget in your blog… It’s always something I’m trying to figure out when traveling! Good info to know!